The report reveals that 50 percent of respondents do not have solutions in place to support data inventory, 66 percent do not use data lineage solutions and 53 percent lack automated governance, workflow and issue management. These findings suggest that most organizations lack the insights needed to maintain regulatory compliance and make informed business decisions. • Lagging and uncertain governance tactics: Enhancing governance models requires strategic use of data discovery and lineage to determine where data moves and how it gets transformed. • Inefficient governance processes: Automating governance, workflow and issue management improve data practices and are fundamental with timely compliance and full data value. • Unseen data and lost value: Pushing for business value-added digitization calls for an enhanced governance model capable of supporting a much-changed environment. 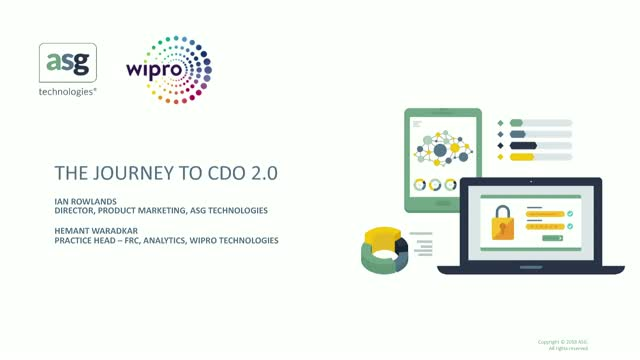 Learn how maturing Data Governance can help you move towards CDO 2.0.